A very versatile holster, the Gould & Goodrich Ambidextrous Concealment Holster is able to be worn both outside or inside the pants with its durable steel clip or can be worn outside of the belt or between the belt and pants by sliding the belt through the specially cut slot. Constructed from genuine leather with a suede lined interior to protect the gun's finish. 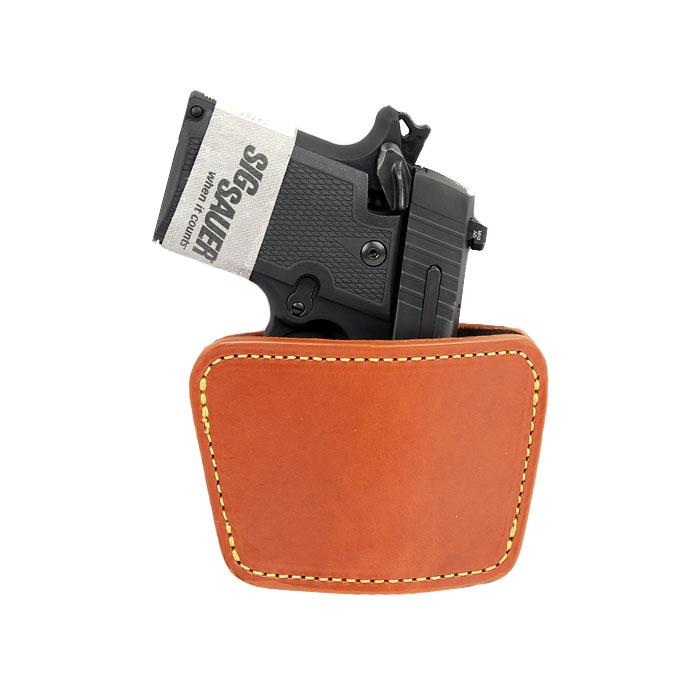 Universal holster fits most medium frame auto pistols and small frame revolvers.